An exclusive interview with Filipino photographer Veejay Villafranca, winner of the Photobook Art Award in the Invisible Photographer Asia Awards 2018. I’ve been a photographer for about 15 years. I started out as a news photographer for a national news magazine based in Manila covering different issues and stories in Manila and all over the Philippines. After four and a half years working as a news photographer, I decided to pursue documentary photography. I had several ideas in mind about stories I wanted to pursue that I came across while working as a news photographer. So I decided to pursue them, the first of which was the lives of former gang members in one of Manila’s biggest slums. After that I dedicated my fulltime to documenting different stories in the Philippines and all over the Asian region. Ever since I was a young boy, I was growing up with different photographic materials like magazines – Life Magazine, National Geographic, local publications who were publishing photographic work by Filipino photographers. So growing up with all these and also seeing my father working as a photojournalist for a government agency here in the Philippines, it was sort of natural that I imbibe the ideologies or certain liking to photography. Photography wasn’t really forced into me and I didn’t really pick up a camera and use it intently until the early 2000s during the second People Power Revolution. That was the only time my father handed me a camera and a couple of rolls of film to actually document the scene. And from then on I think I saw the possibilities of what photography can do. Tackling social issues or difficult issues especially in developing countries, it has its own quirks. It depends actually on the photographer or how you approach each subject. Some would approach it in a more intimate way, meaning spending longer periods of time, which I personally prefer. But given the limitations of technology or deadlines or others, sometimes photographers tend to do it in more a parachute kind of way, where you only spend a little bit of time or you have preconceived ideas of the images you want to take from that scene or story. For me, if I can, I tend to spend longer periods of time with a certain subject especially if I’m working on my personal project. I tend to go back to the places where I probably built relationships with or have certain affinities with whenever I am assigned to do a story. Early influences? I would say probably sixty percent were foreign photographers as I mentioned earlier – Life Magazine, National Geographic, some books from Magnum, Eugene Smith, and Bresson. Some Asian photographers as well, Raghu Rai, Raghubir Singh, some Chinese photographers that I can’t remember. Southeast Asian books were one of my earlier influences in photography. And since my father was working as a photojournalist in a government agency he would always have access to the works of Filipino photographers who actually moulded me and some of my other contemporaries in the Philippines. They are the likes of Sonny Yabao, Derrick Soriano, Luis Liwanag, Alex Baluyut, George Gascon, even some of the other photojournalists from publications back then who were trying to survive during that period, what they say is the golden age of photojournalism when stories were abound. Specifically for SIGNOS, it was more influenced by Ed van der Elsken’s work. Stanley Greene was a constant influence, not only in conflicts, but in general, like the narrative and how one creates a story out of information that is given to you or is available to us. Oscar Motuloh’s book on the Asian Tsunami was very, very influential especially for SIGNOS. I was able to see books that were published here in Asia which was very important for me. For photographers who are just starting out or in the midst of trying to figure out what they want to do or how they should pursue a photography career, I think it is important to have a firm footing on who you are as an author and a photographer and what you want to say. And be firm by it, stand by it. Lastly, to photographers and other photo practitioners especially in this day and age where photographers are being outed for unethical practices, I think it’s important to keep our integrity intact. I think it’s our responsibility to our viewers, to the audience, and even to the community, to be honest in what we are doing, what we are trying to say and who we are as a photographer. This creates a healthier community and more progressive discussions with regards to our stories, our projects and our photography. SIGNOS, by Veejay Villafranca [Philippines] is the Photobook Award Winner in the Invisible Photographer Asia Awards 2018. SIGNOS illustrates different scenarios brought about by severe weather patterns in the Philippines. As typhoons get stronger, water levels rise and farmlands dry out, the country is faced with a reality that we can no longer ignore. In 2013 Typhoon Haiyan, one of the strongest tropical cyclones ever recorded, left 6,000 dead and over 6 million people displaced. It was devastating to the marginalized communities, many of whom live on the waters edge. SIGNOS is about the lives of the people displaced by extreme weather occurrences, further complicated by humanitarian issues such as inadequate relocation, livelihood security and human traf cking. SIGNOS illustrates the new norm. Climate change does not happen in isolation. Veejay Villafranca was born in Manila. He started out in journalism as a staff photographer for the national news magazine Philippines Graphic. After becoming a freelancer in 2006, he worked with several international news wire agencies before pursuing the personal projects that later paved the way to his career as a full-time documentary photographer. Veejay has tackled issues such as changing Filipino cultural and religious practices, the transformation of Filipino gang members, and climate displacement and other environmental issues. In 2008, he was awarded the Ian Parry Scholarship and a residency at Visa Pour l’Image for his project on the lives of former gang members in Manila and in 2013 attended the prestigious Joop Swart Masterclass program of the World Press Photo Foundation. 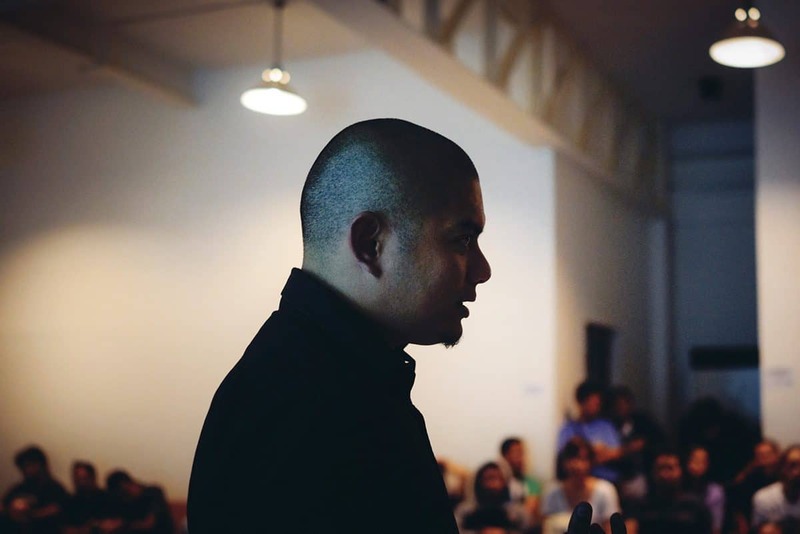 Veejay is based in Manila and works around the Asian region contributing to international publications and working with non-governmental organizations in producing visual reports on selected social issues. Click to view the official announcement of the 2018 Winners of the Invisible Photographer Asia Awards.